Breakfast that's a little special isn't always simple to prepare, but sometimes it can be the simplest touches that are the most special. 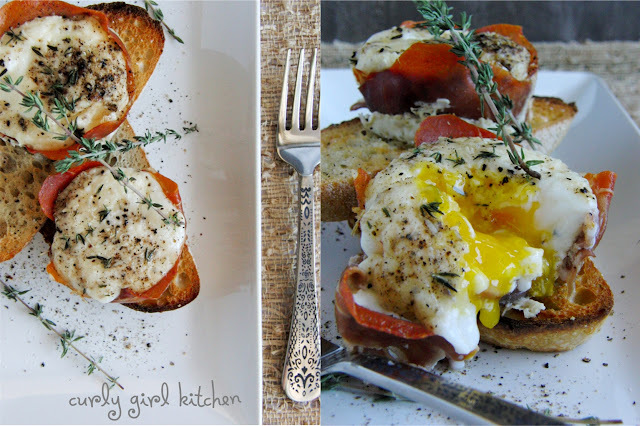 Eggs, toast and bacon get a little facelift with these prosciutto egg cups served on toasted rosemary bread. They are easily prepared by placing slices of prosciutto, which could also be substituted with thinly sliced ham or Canadian bacon, in muffin pans, cracking an egg right in the middle, and then finished with a sprinkling of Parmesan, thyme and cracked pepper. Baked until set and placed on crunchy bread, they're crispy, creamy and salty. 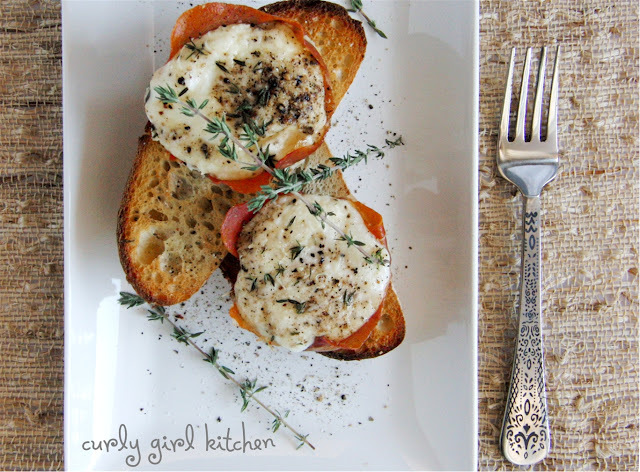 They take less than five minutes to put together and have everything I could want in a savory breakfast. I made this one morning while Jamie was out of town last weekend, but it was so good, I promised I'd make it again for him. Preheat the oven to 375. Spray a muffin pan with non-stick spray. 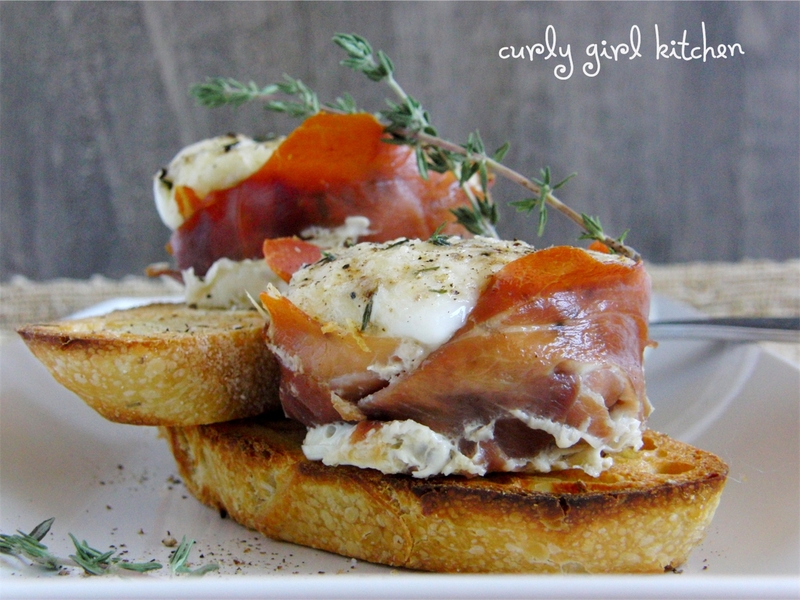 Fit the prosciutto slices inside 4 muffin cups. Sprinkle half the cheese in the cups. Crack the eggs, taking care not to break the yolks, into the cups. Sprinkle with the remaining cheese and thyme, and season with salt and freshly cracked pepper (go light on the salt; the cheese and prosciutto are already salty). Bake for 15 minutes, or until the eggs are set to your liking (after 15 minutes, the yolks will be mostly set, and just slightly runny). 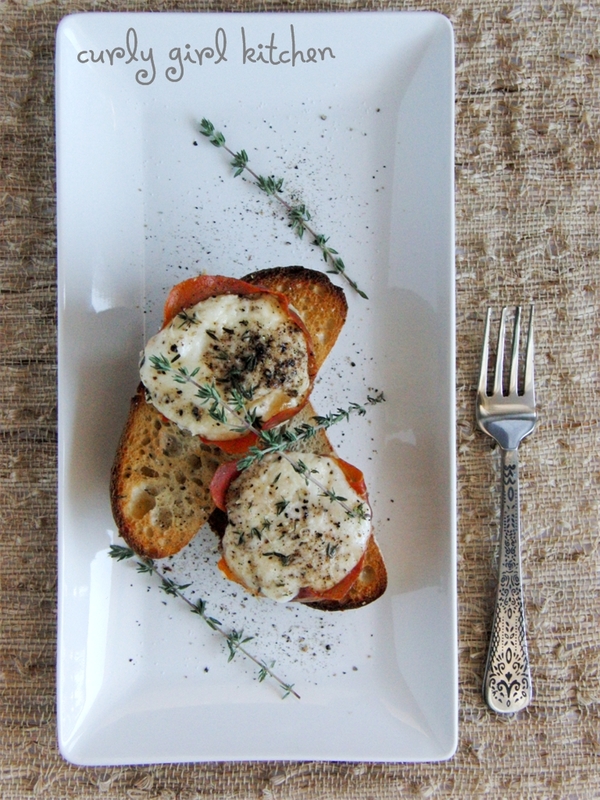 Use a spoon to carefully remove the cups, and serve with toasted bread.